Harvest time in Hanford, Ca., just south of Fresno. 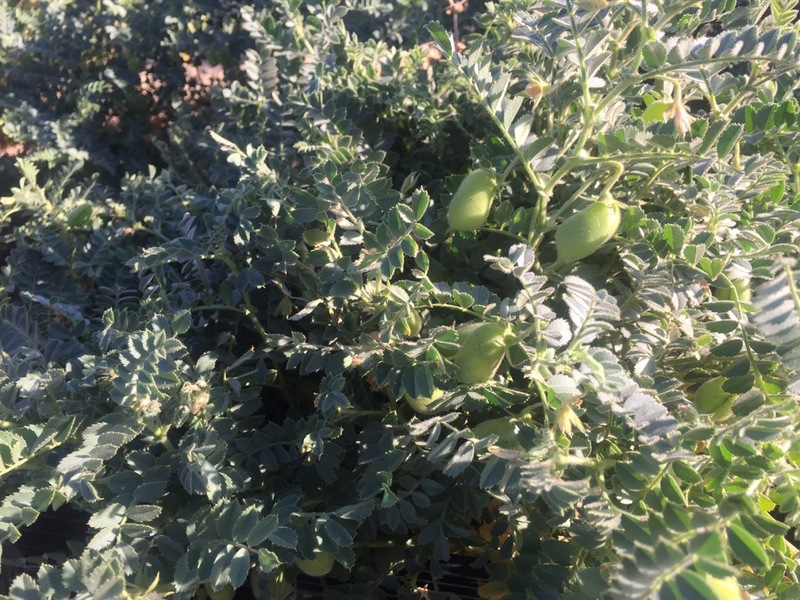 For the next three weeks, shoppers at the Santa Barbara Farmers Market can buy freshly harvested garbanzo beans. To learn about the harvest season and how a fresh garbanzo bean turns into hummus, Katie Hershfelt met up with Moez Bensalem of Baba Hummus. Fresh garbanzo beans in the shell. To check out all our past farmers market segments, head to kcrw.com/meetatthemarket.